I’ve finished the instructions for the beaded ornament cover class that I’ll be offering October 3 at the Olds Library. The class is limited to 6 people. If you’d like to register, check here for more information. Categories: Events | Tags: beading class, beadweaving | Permalink. 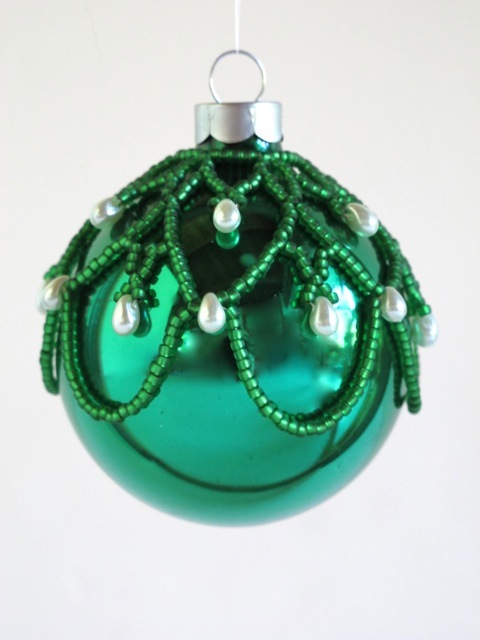 Beautiful beaded ornament! Is there any chance of getting the instructions so I can make one here in Idaho?